I think Tim's voice sounds like a Lance. I have always enjoyed their slightly off kilter banter. Especially Lance who jumps right in and then works out his thought. 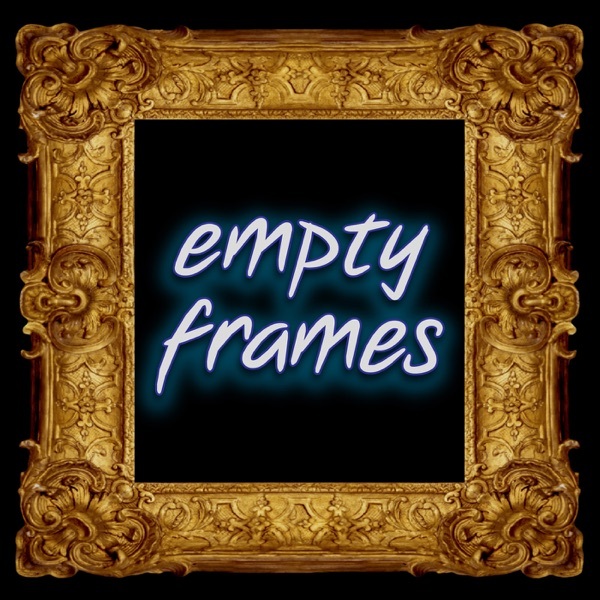 Empty Frames, hosted by Tim Pilleri & Lance Reenstierna of Crawlspace Media, chronicles the Isabella Stewart Gardner Museum Heist & other art mysteries. Tim & Lance are engaging, thought provoking & funny as hell! Check out their other Podcasts Missing Maura Murray & Crawlspace too. Going behind a paywall for season 2 is BS. Great topic, but terribly disorganized narrative. Last episode of Season 1 is a waste. Time to unsubscribe. I was really enjoying this podcast when season 1 ended abruptly with no explanation. Now, they’ve moved the podcast to Stitcher Premium. Sorry, I’m not about to pay when there are plenty of free series. This had pretty much turned me off to all of the Crawlspace Media podcasts and I’ve pretty much stopped listening to them. I’m disappointed to say that I found this show really atrocious. The hosts ramble, and the show is ridiculously confusing; not a single person will listen to this and come away w/ a clear picture of the Gardner heist or the details surrounding the crime. Anyone interested in this topic should just listen to Last Seen, the WBUR podcast about the same subject matter. To the hosts — don’t assume the audience is as well versed as you guys! And ease up on the rampant speculation, please. The Gardner Heist is such a fascinating event. But this podcast is so poorly executed that I had to stop listening. I don’t want to listen to two guys insert themselves into the narrative. This applies only to the first three episodes, as I gave up after that point. I love heist stories, find them fascinating, and was really excited about this series. But it so desperately needs a heavy-handed editor. The pacing is too slow, the story-telling is repetitive. It would be far better with the same content in half the time. I am so impressed with the research involved with this show and the first person interviews! Having had taken a few art history classes and being an avid fan of white collar I was very excited to tune in. Each episode starts off with an introduction that's over 3 minutes long, even if the episode is only 22 minutes in length. I have now reached the end and haven’t learned anything about the theft other then a few interesting tidbits about the IRA. Don’t waste your time listening the paintings are still missing and the two hosts simply made a lot of money off all the ads and sponsorships. This has been a complete waste of my time. They have added no insight to the story whatsoever. It’s like they’re not even trying and they know it. JVN is my spirit animal!!! Her energy gets me going in the morning! I love this show and have awaited with baited breathe as each episode has dropped but they are explicit in saying there are 13 episodes 1 for each piece of art stolen and yet the last episode - Episode 12 dropped July 14 - the guys said see you in 2 weeks for episode 13th and final episode and it’s August 25th and no finale. What’s up? Iam feeling confused and empty. I give the two host credit for trying to tackle the subject, but they’re talking because I am a college radio approach just doesn’t do it justice. In the hands of someone like the CRIMETOWN folks, this would be an absolutely scintillating story. that said, everyone has to start somewhere. Keep trying guys. I’m two episodes in and feel like I still don’t know anything about the heist. Great idea very poor execution. I’d love to rave about this podcast. The theme is super cool but it’s nothing like Serial or the RFK Tapes. The episodes are sloppy, generally consisting of poorly edited interviews (look at Dan Snow’s History Hit for an example of fantastic interviews) and the episodes don’t build on one another. Add lengthy filler material, countless ED and hair loss ads and this just doesn’t come together. By the fourth episode I still didn’t have much or a picture of who the people involved were. I know this is harsh but I do mean this criticism to be constructive. It’s not too late to improve! I was very interested when I discovered the topic but there is no flow to this podcast. The hosts are all over the place. The advertisements are more informative than the podcast itself. Hope someone decides to do a thorough pod cast on this heist. So frustrating to listen to this podcast. I’m fascinated by the topic, but only made it 1.5 episodes because it is so lame. They spend most of the first episode talking about how great the podcast is going to be. Then they have people on to spout off random names you’ve never heard, then say how interesting the story is without going into any detail at all. There are so many other GOOD true crime podcasts. Go listen to one of those. This is such a fascinating topic, but it’s poorly handled. I eagerly listened to the first 2 episodes but I’m about to give it up. They talk about the case like we already know the basic facts. Every episode I feel like I should rewind and go back to listen to what I missed. They ramble and jump topics and are skipping out on a lot of basic information. The constant ad interruptions are annoying, too. There’s maybe 15 minutes of actual material in a 30 minute+ episode. Meh. I wish someone like Casefile would handle this topic. Much more straightforward presentation of facts. Wanna love it, but WAY too many commercials. I get everything has to have a sponsor now, but you guys really are mucking up your wonderful story by adding all these awkwardly placed ads in the middle. Do a bunch of placements at the end, or the beginning. You could do five times the amount of ads and I wouldn’t mind if they weren’t every 3 minutes. You aren’t keeping me on the edge of my seat, you’re wrecking your own narrative.. other than that I really enjoy the story. Hey I loved the concept and storytelling in this podcast but the constant ads during the first few episodes destroy any narrative or interview by being so intrusive. I really want to listen to the rest of the episodes but holy cow the ads are the worst. The subject is very interesting to me and I was excited to listen but from the incessant plugs, taking forever to get to the meat of each episode and the complete lack of any investigative narrative, it was really lacking. I would have liked an actually step by step description of the crime and a full run down of the suspects with their backgrounds, alibis connections etc. instead we get a lot of interviews rehashing the same theories and throwing out names of suspects as if we should know who they are before it’s ever been thoroughly explained. Very disappointing. VERY well done, BUT there’s WAY too many ads. The shameless plugging of (fill in the blank) pops up every 10 to 12 minutes. It’s hard to even get into the story before the hosts switch to a fake banter discussing how great (blank) is. It’s very irritating. Just load the ads up at the front, back or middle of each episode, guys. Don’t mess up the tempo of every episode with a “Pop-Goes-The-Weasel” approach to the ads. The show continues to lose my interest every time they interrupt the show for an advertisement. Get your sponsor ads in at the BEGINNING of an episode you guys. The immersive experience is completely ruined by interrupting it several times throughout the show. Super interesting story but told so awesomely boringly that it’s not worth listening to. This podcast gets better and better as each episode uncovers more details. The Dutch guy episode was brilliant. The moderators are genius at keeping a neutral ground especially when they’re interviewing the security guards. I like the way they’re working this. Oh and as far as ads go, just scroll through them! The podcast starts with the presumption that the audience knows about the case, which I did not. Before explaining what actually happened, they’re putting out theories and opinions that I can’t follow since I don’t know the pieces of the story they’re referring to. Either specify that this is for people who already know the backstory, or tell us what happened. There also seem to be a lot of conclusions drawn without backing them up with real information. Too many ads and slow pace of story. Just meh. U subbed. What could’ve been a very interesting story damaged by poor pacing and way too many ads for the amount of content. Just when you started to get interested they launch into yet another ad. Pity. I would have loved to have listened to this. I wanted to love this pod. I stuck it out 5 episodes but ultimately unsubscribed. This could’ve been an incredible story and a different take on the true crime genre that I love. Unfortunately, there is no “story” being told here, it’s just a smattering of the hosts’ thoughts, opinions, and interviews with people who have researched the case. There is no linear story telling and they didn’t even provide an overview of the heist itself for those who are unfamiliar with the case like I am. You’re just expected to dive right in with the same level of knowledge they have. I’ve been completely lost from episode to episode, hoping they’d eventually try to tie things together. I gave up. If they reboot this with better organization, I’d give it another shot. Subject matter is very interesting, however there are WAY too many breaks. I feel like I listen to more sponsor ads than actual content. To echo the other reviews, there is no structure to the story. There are way too many ads. The most recent episode was 30 minutes and there must have been 10 minutes of ads. The topic had a lot of promise, but the podcast is poorly executed. Decent podcast, great story, but there are a TON of ads and promos. I understand the hosts have to fund their show, but episode 3 goes for 13 minutes before getting into any content. I’m a little confused. The episodes don’t seem quite so cohesive in the overall story, or maybe the hosts never give a detailed overview of the crime, the suspects, the geography, the theories, etc. Also, they run FAR too many ads and they are placed annoyingly throughout each episode. They run an ad, give two minutes of content, and then another ad. Total turn off. A rambling mess of a fascinating story. 2 stars are just because my Aunt Ollie took me there and she was the best. The case itself is interesting, but the delivery in this podcast is bad. Each episode is of the two hosts interviewing one person. The episodes are way too long and don't give you much info beyond a few minutes worth. With so little information in the case, the podcast is mainly devoted to speculation, which becomes pretty pointless pretty quickly. Plus, the ads delivered by the two hosts last several minutes and sounds so forced and not genuine. Stopped listening after a few episodes. Many reviews complain that the podcast doesn’t give enough details- I can’t speak to that since I’m well aware of the background story. I’ve read a couple books on this heist and I enjoy the podcast because it’s a bit more of a question answer session that you can’t get from a book. I wouldn’t say this is a gripping podcast that leaves me hanging each episode, but it’s fun to listen to and great food for thought on this unsolved heist. It is a highly interesting topic to me, but between the commercials that make me cringe, the poorly edited audio that assumes the listener won't notice or care how many cuts had to be made to get that sentance out, and finally the lack of promise of any new information that hasnt been talked about twice already forced me to stop listening. It feels as though they got the complete story out there in the first two episodes and have been pontificating to fill time since. I stopped part way into episode 4. It could be good, but they need to think of thier audience more. Perhaps I am alone in this thought though. More facts! Less speculation and digression! I want so badly to like this, but there is so much time spent just speculating. I just spent so much time listening to you talk about movie length that I almost stopped listening altogether. This show needs to be better researched. It doesn’t feel tight. It sounds like you don’t have enough to go on, so most time is spent grasping at straws trying to fill time. What saves this podcast is that it’s about such an interesting topic. Tell a story- don’t bounce all over the place. There’s no real narrative here.